Disposable cameras for wedding guests to use at your reception are cheap and a great way to have more photos. It's a fun way for guests to socialize and you'll end up with candid shots of moments your photographer would miss. You can provide guests with simple instructions, tips and even a camera game to ensure they snap the best possible photos for your wedding album. When you put a camera out on your reception table, you should include instructions. How detailed you want to be depends on your expectations and your guests. Do you have certain shots you want them to get? Are most of your guests outgoing? This will depend on the kind of instructions you give. "Please help us make memories! Snap a few photos and pass it around! Leave on the guest book table at the end of the evening." With little instruction, the guests are welcome to take photos as they wish. You may end up with photos of the head table, guests posing together, centerpieces, or the dance. Some brides have even found "artsy" photos of cake slices or guests' shoes. If you want to make your instructions more fun for your guests, you could give each table a "mission" that ties in with their table name or number. For example, if you lettered your tables, have guests take photos of things at your wedding that begin with that letter. Another idea is to give each table a special assignment, like "kissing" photos or "groovy" photos. Then the photos the people take at each table would have something to do with that theme. No matter what assignment you give your tables, make sure to mention that the camera should be passed around to different people. If you are wary about giving your cameras to people and getting good shots, you may want to consider giving your wedding cameras to a few specific people. Ask them a few days before the wedding if they would mind taking a few photos with a disposable camera you provide for them. Giving the cameras to a several people before the wedding can result in some candid shots as people arrive at the ceremony, during the ceremony, and afterwards. You are not limited to just reception photos and have a trusted friend doing you the favor. Be sure to write these people special thank-you's for their help! Couples who choose to take photographs after the ceremony may have a gap of time between the ceremony and the reception. A bit more elaborate, a scavenger hunt works for smaller informal weddings where people know each other well. For weddings with a lot of pre-teenaged children invited, it can help keep them occupied while waiting for the reception to begin. Be sure to write several different lists of items and place them by the cameras at the guest book table. Have your guest book attendant encourage people to check off the photos that have been taken, lowering your risk of duplicates. Wedding cameras do not have to be anything fancy. You can use disposable cameras found at any discount or drugstore. For beach weddings, waterproof cameras might be in store. Or, get the newest disposable cameras that have a zoom lens on it for better pictures. Vintage Wedding Camera - Capture memories with this great vintage-inspired looking camera. Suitable for use day or night. Wedding Message Camera-Each camera comes pre-loaded with special messages that appear on the bottom of photographs. Personalized Wedding Cameras-Select from a wide variety of cameras that can be personalized for your special day. You are not limited to just disposable cameras. 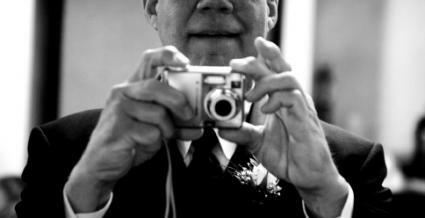 Companies like YouShoot now offer digital cameras for wedding rental. YouShoot also offers a web-hosting site where the bride and groom can share their photos with everyone. If you know of a few guests who bring their cameras to social occasions, you may want to ask them if they would give you a set of duplicate prints. Ask that digital camera pictures be emailed to you.